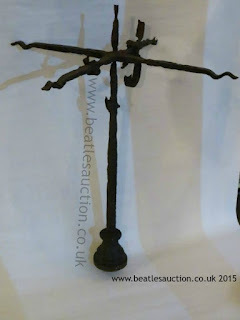 The following lots are from St Peter's Church, Woolton. 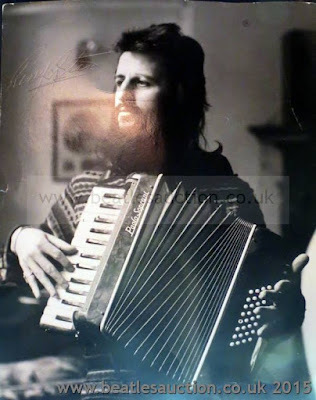 This is where Paul auditioned to join John's band and the rest is history. 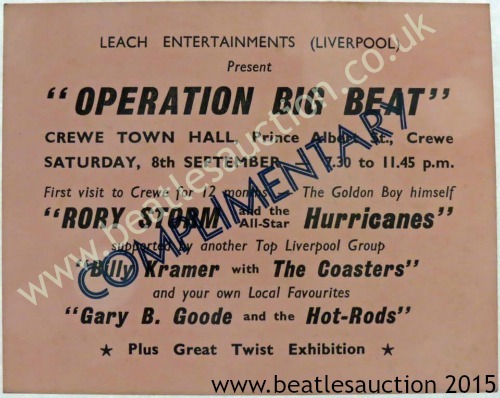 The items are sold to raise funds for the church. The above Hymnal and Prayer book are from the Church and date from a time that means they would have been in use when John and his Auntie Mimi attended the church. 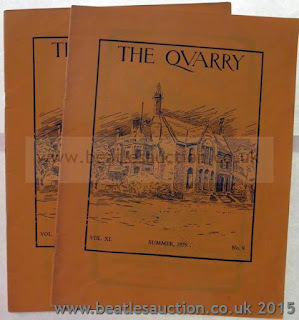 They are being sold together in one lot with an estimate of £60-£70. 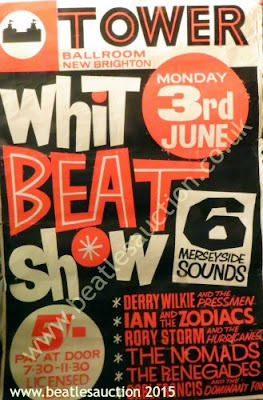 This lovely letter from a member of the Rattles to a fan back in the day comes with a photograph of the band in the Cavern Club, Liverpool. 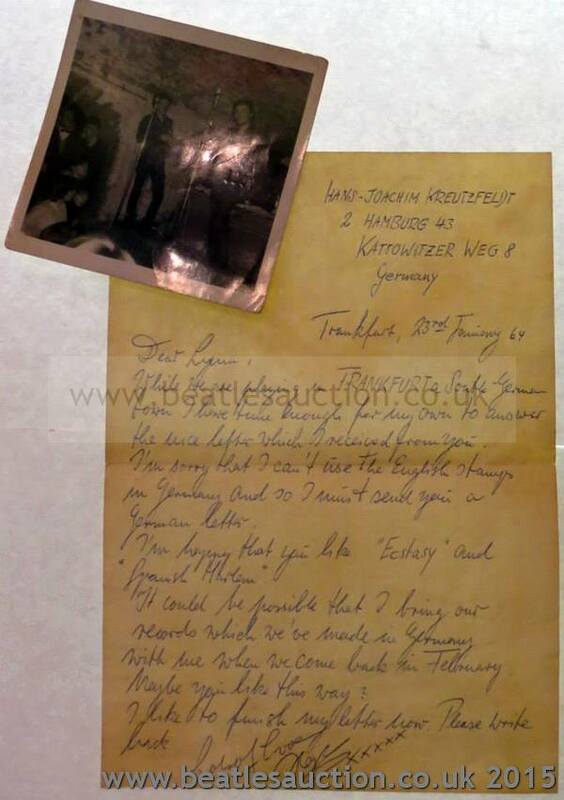 In the letter dated January 1964 they say they will bring some of their German record releases with them when they return to England in the next month. 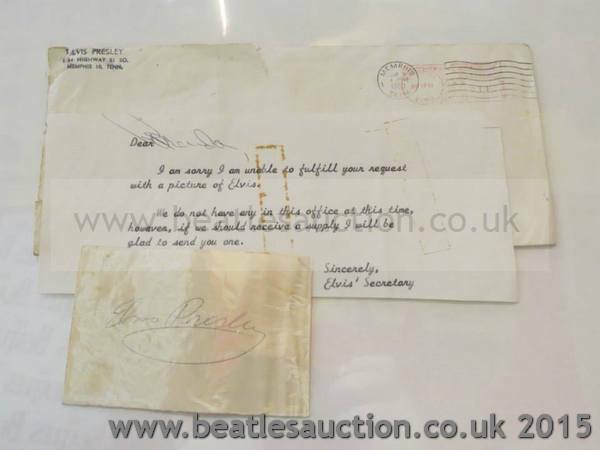 The letter and photograph will be sold together in our Annual Liverpool Beatles Auction coming up in August. 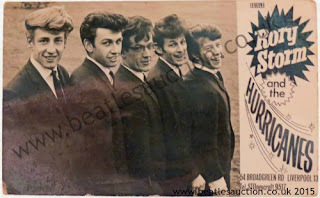 The estimate for this lot is £140-£160. It seems to be a bumper year for Beatles jewellery in our auction. 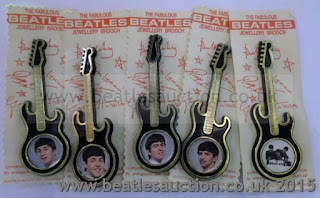 Here's a couple more interesting baubles. Can you imagine getting all cosy in bed or in an easy chair under this original Beatles candlewick bedspread? 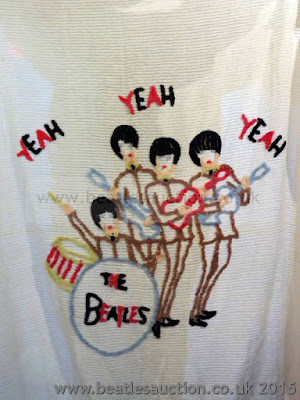 This particular blanket (which has kept its colour very well) is up for auction in August in our Liverpool Beatles Memorabilia auction. 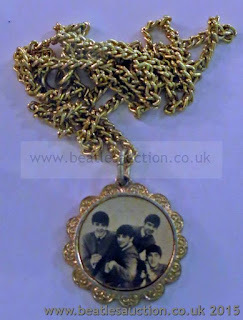 It carries an estimate of £120-£150. 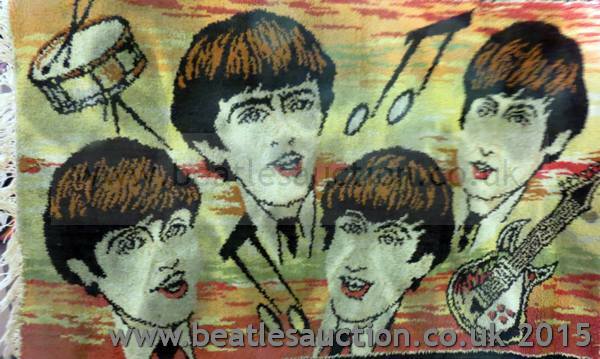 And how about finishing off your Beatle decor with an original Beatles rug? 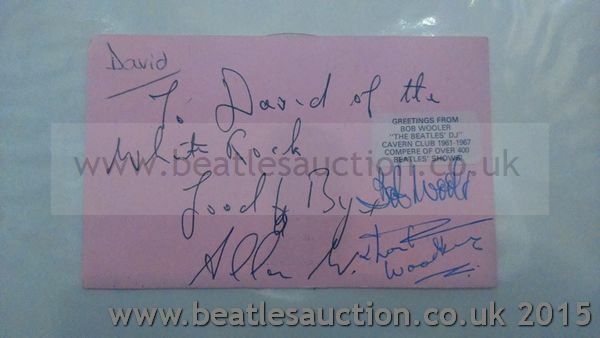 Again, this item is going in the auction. 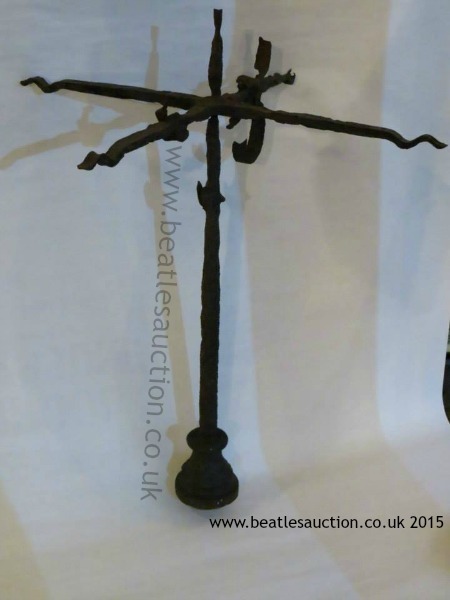 The estimate is £180 - £200 so you may want to take your shoes off before stepping on it! 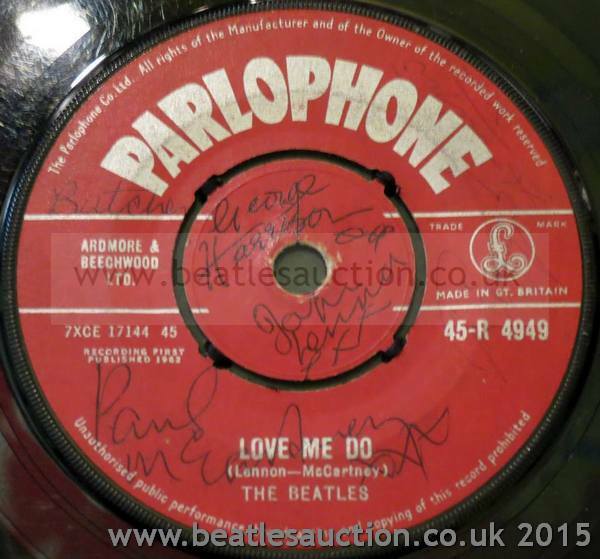 Rare Fully Signed Beatles Love Me Do Single To Be Auctioned In Liverpool in August. 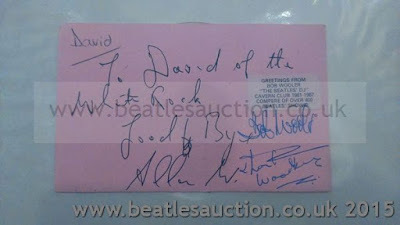 In October 1962, after the release of Love Me Do The Beatles attended a short official signing session at Dawson's Music in Widnes to autograph copies of the singles for lucky fans able to attend. This is one of the records signed that day. 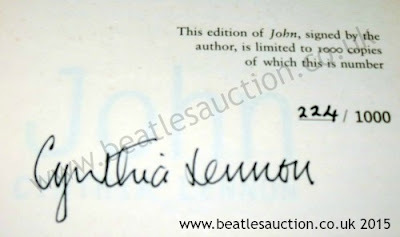 It is fully signed on the A-Side of the single however, the Ringo Starr signature has faded over time but is more visible than shown in the photograph. In a previous auction, one of these signed singles reached over £12,000! 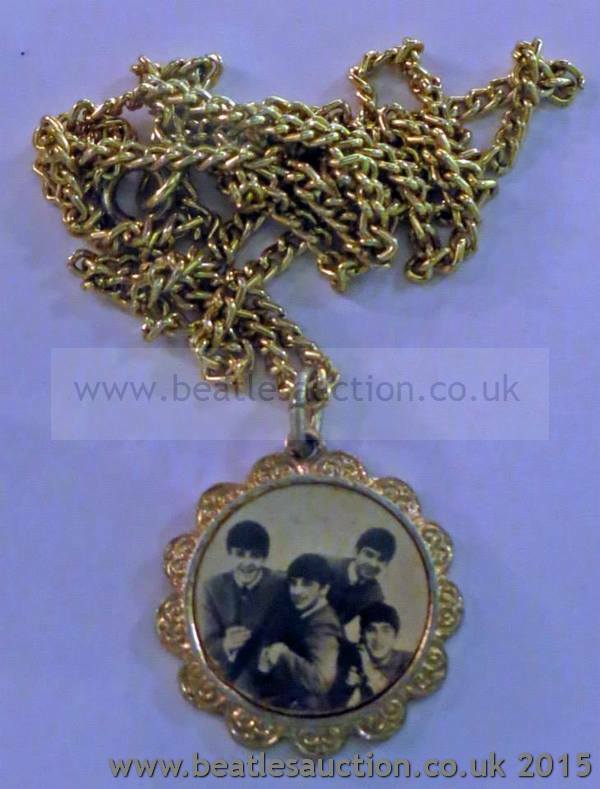 The estimate on this item is still to be confirmed. 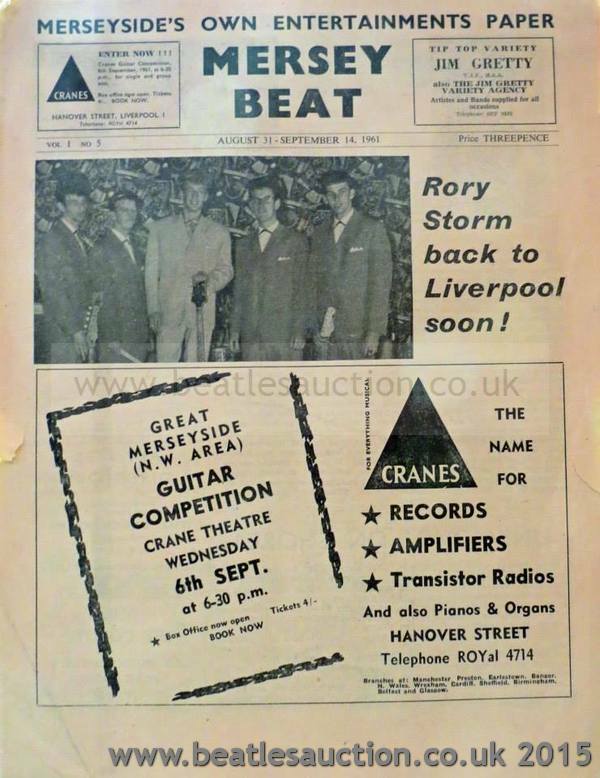 Details of when the record is to be sold cane be found below. The three names on this piece of paper loomed large in the early legends of The Beatles. Elvis was a massive influence on The Beatles. This autograph comes with a short typed note from Elvis' secretary explaining that there was currently no supply of photographs. 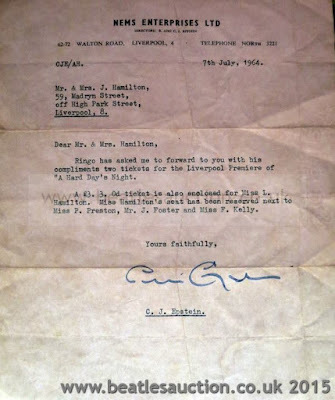 This short typed letter about tickets for the Northern Premiere of A Hard Day's Night is signed on NEMS Enterprises notepaper and signed by Brian Epstein's brother Clive. Coincidentally, since it was regarding tickets from Ringo, it is dated 7th July which is Ringo's birthday. 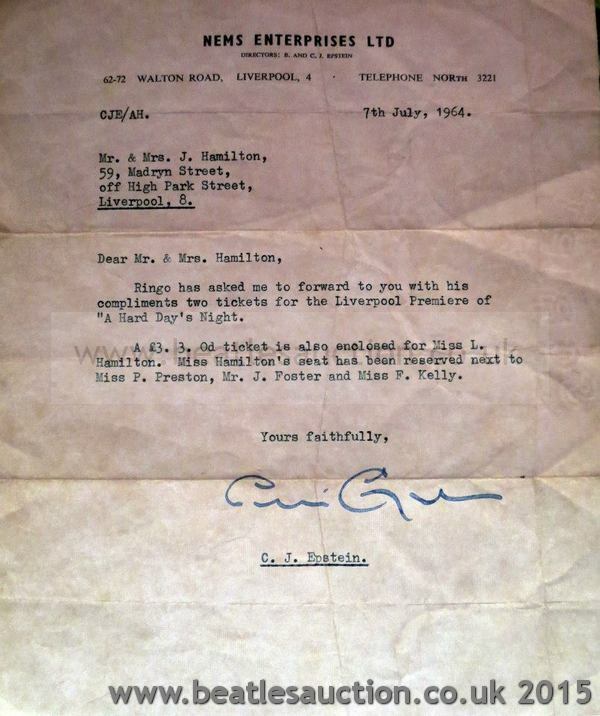 The letter will be sold in our annual Liverpool Beatles Memorabilia Auction this August and is expected to fetch between £100 and £120. 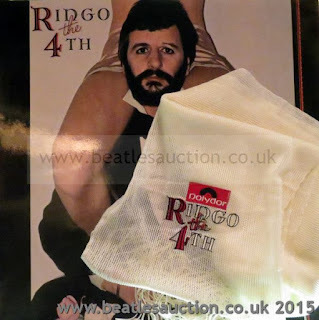 There's a bit of a treat for Ringo fans this auction starting with the three lots below. 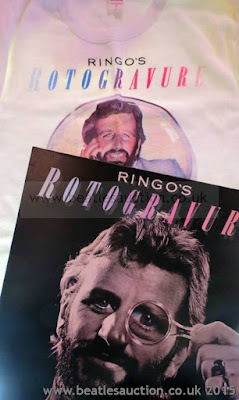 Each features a classic Ringo album and the relevant piece of promotional merchandise for each one. 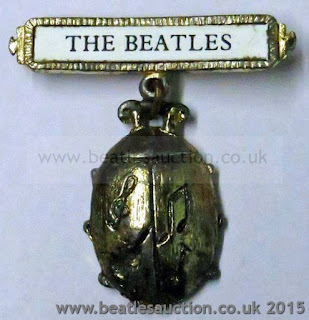 Stop and Smell the Roses plus promotional badge. 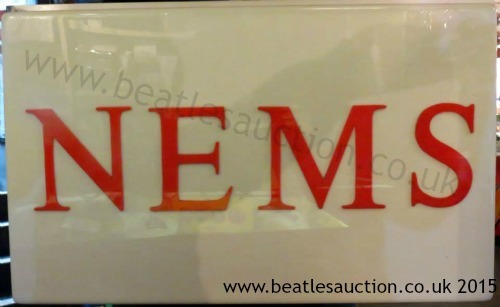 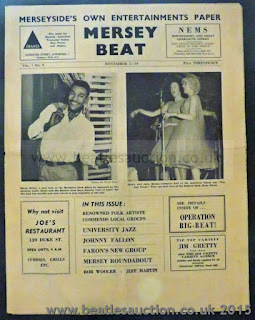 Rare NEMS Liverpool Shop Sign Up For Auction This August. 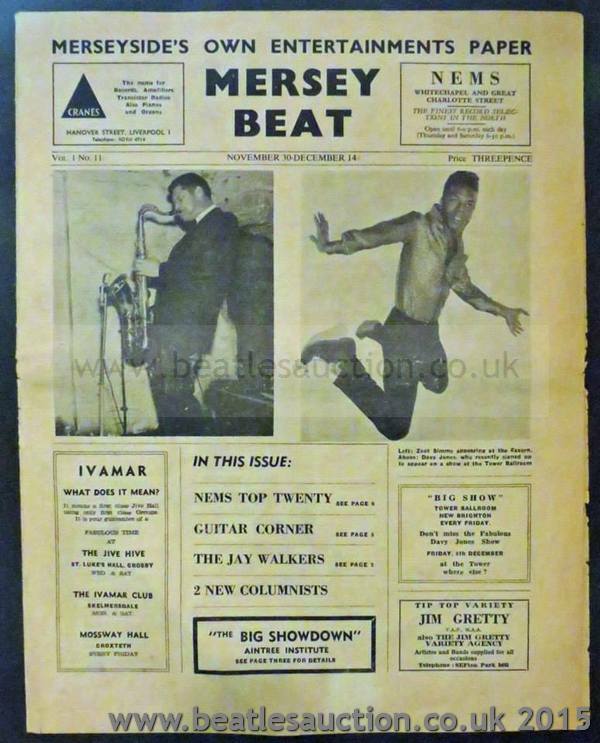 This NEMs shop sign remained in situ in the famous Whitechapel store in Liverpool after it changed hands and became Rumbelows. 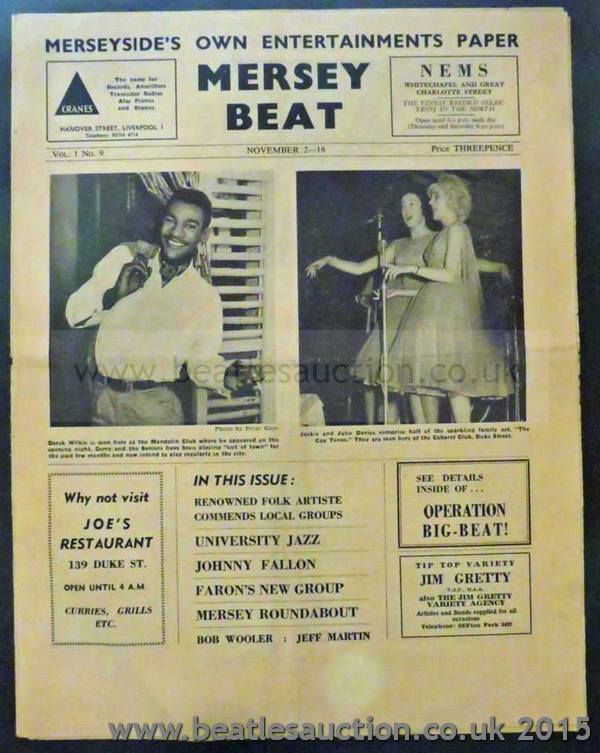 It was later removed by an employee. Made from red and white plastic and featuring the company logo this item carries an estimate of £600-£700 and will be up for sale in our annual Liverpool Memorabilia Auction in August. We expect a lot of interest in this unusual lot. After leaving the Beatles, drummer Pete Best formed the Pete Best Four. 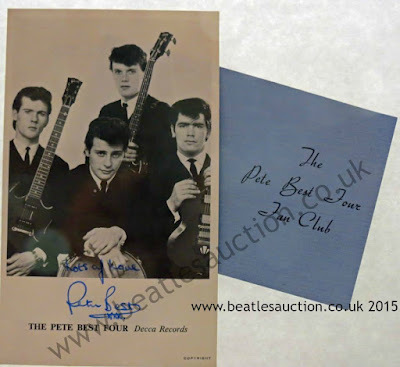 The band had their own fan club and a card for that along with a promotional postcard signed by Pete himself, is up for auction in our August event. 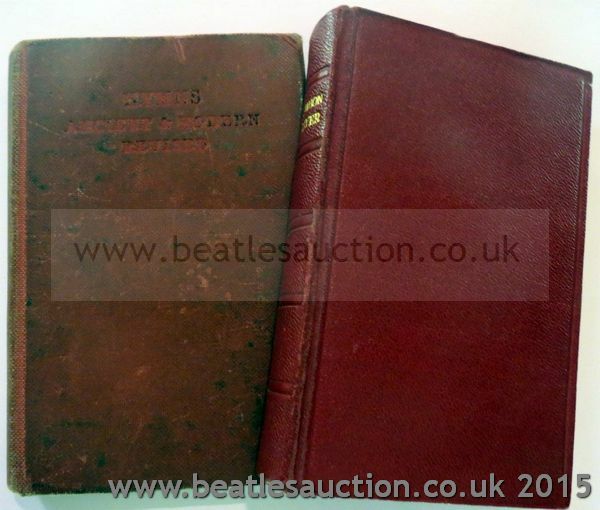 An autographed copy of Cynthia Lennon's second book about John will be up for sale in our Annual Liverpool Beatles Memorabilia auction this coming August. 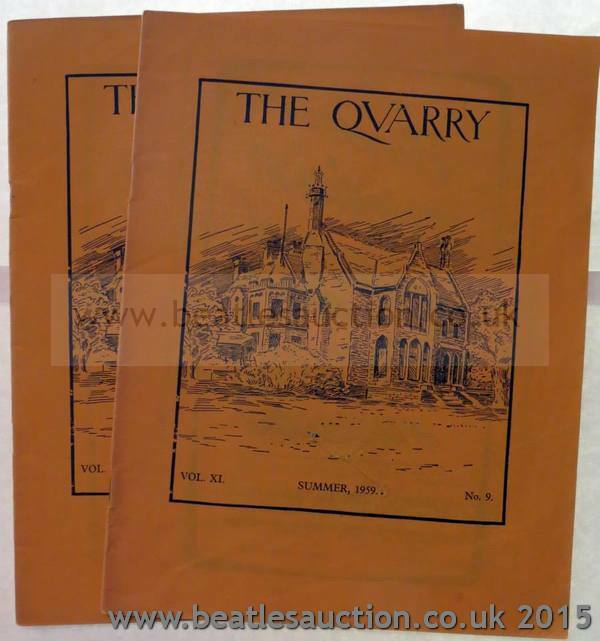 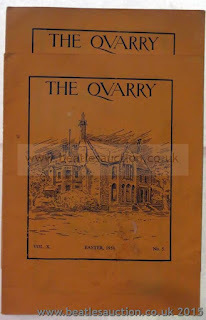 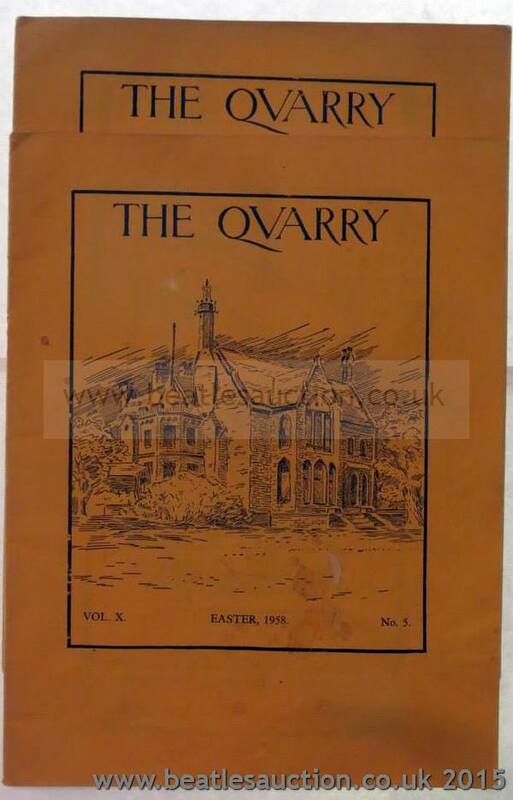 The book is a limited edition, signed, hardback copy and carries an estimate of £100-£150.